Topic: Charged $220 incorrect call out fee. Re: Charged $220 incorrect call out fee. jim80z wrote: Have the links been upgraded by Optus at the Port Kembla exchange. I doubt it. 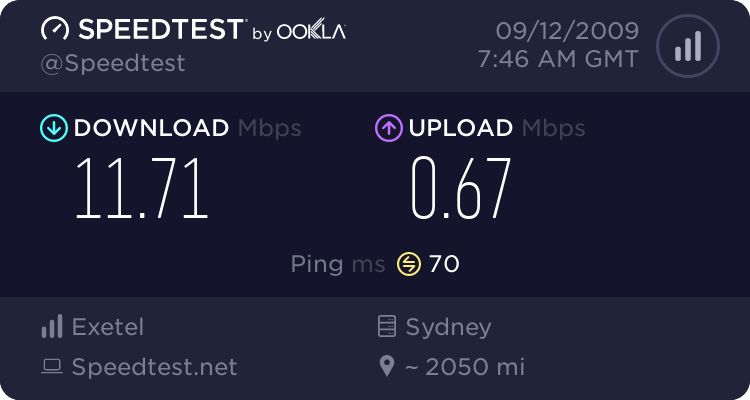 I have a colleague at work who has an Optus retail ADSL2+ service on the Port Kembla exchange. He rang Optus to complain about the poor speeds and they indicated October as the month when the upgrade is planned to occur. Your current bandwidth reading is: 1.79 Mbps which means you can download at 229.36 KB/sec. from our servers. abc.net.au and www.abc.net.au are two different things. On my ADSL2+ connection, the latter is provided by Akamai and resolves to an exetel address 20ms (6 hops) away while the former goes via the same pipenetworks router you report and does not respond to ping or tracert. aussierod wrote: Hi, it's the first day of the month 01/09/09 and I have supposedly racked up 280mb of peak usage, before the 12pm peak usage period for this month started. What were you doing between midnight and 2AM today? Remember, the day is now split three ways - 2 hrs peak, 10 hrs off peak, 12 hr peak. 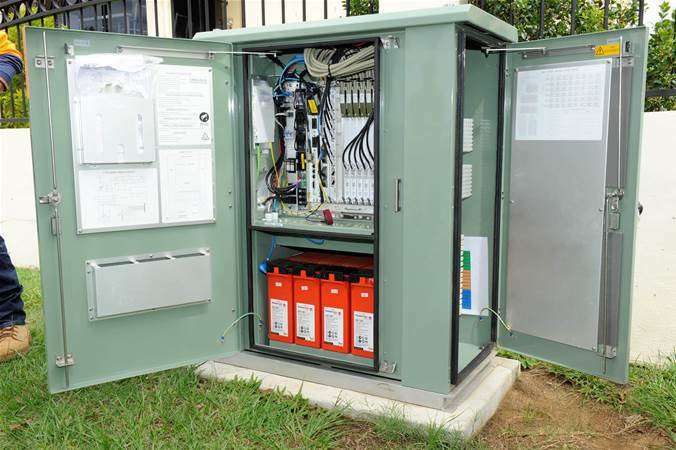 Topic: Can NB1 work for ADSL2+? Re: Can NB1 work for ADSL2+? Or a telephone double adapter + EM1100?